Over the course of my 30-plus years in agribusiness, I can’t recall a time of greater change than the one we’re living in right now. Which is why I’m especially excited to announce the just-released topics for AgriBusiness Global’s two co-located events: Biostimulant CommerceCon (29-30 July) and the AgriBusiness Global Trade Summit (30 July to 1 August), both in Atlantic City, New Jersey, USA. 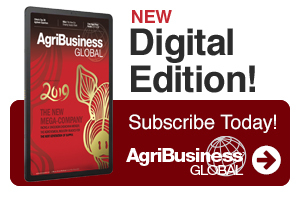 AgriBusiness Global created Biostimulant CommerceCon, which launched in 2018, to support an industry adjusting to the commercial nuances of the rapidly rising product segment. We were seeing many conferences globally on the topic of biostimulants, particularly related to their scientific developments, but very few, if any, providing actionable content for making business strategy decisions specific to the needs of this particular input. Biostimulants’ potential to optimize the innate performance of crops in an earth-friendly way is nearly unprecedented – yet the various paths to commercialization are unique and complex, and the production, registration, and distribution ecosystems are still evolving. What are the pros and cons for varying licensing agreements, partnership approaches, and market entry methods for this product type? Which biostimulants have the most potential in which countries? How do biostimulants fit in with other, potentially more traditional crop inputs? How can we as an industry better express and communicate biostimulants’ true value downstream? Biostimulant CommerceCon’s delegation will merge with the 13th annual Trade Summit’s on Tuesday, 30 July, at which point our agenda will widen to issues that impact all crop inputs. How do we ride out the current “storm” in global sourcing? What is technology’s role in the integrated crop input company’s portfolio? What is ahead in the next five years for the global crop input industry and how can I position my company to capitalize? How might application by drones and other UAVs in key markets impact volumes applied and how can I adjust my business accordingly? We’ll also have ample meeting and networking opportunities throughout our four days together, of course. Nowhere else in the world will you be able to meet, one-on-one, with global crop input and technology leaders of your choosing. Yes, it’s a time of major transition – but it’s also a time of major opportunity to come together, share knowledge and bring the overall industry forward. We hope you’ll join us in Atlantic City, 30 July to 2 August. James C. Sulecki is Chief Content Officer and Head of Global Precision Initiative for Meister Media Worldwide, parent company of AgriBusiness Global. See all author stories here.